Set amidst 500 glorious acres of beautiful gardens and unspoilt parkland, Lucknam Park is a luxury playground for families. 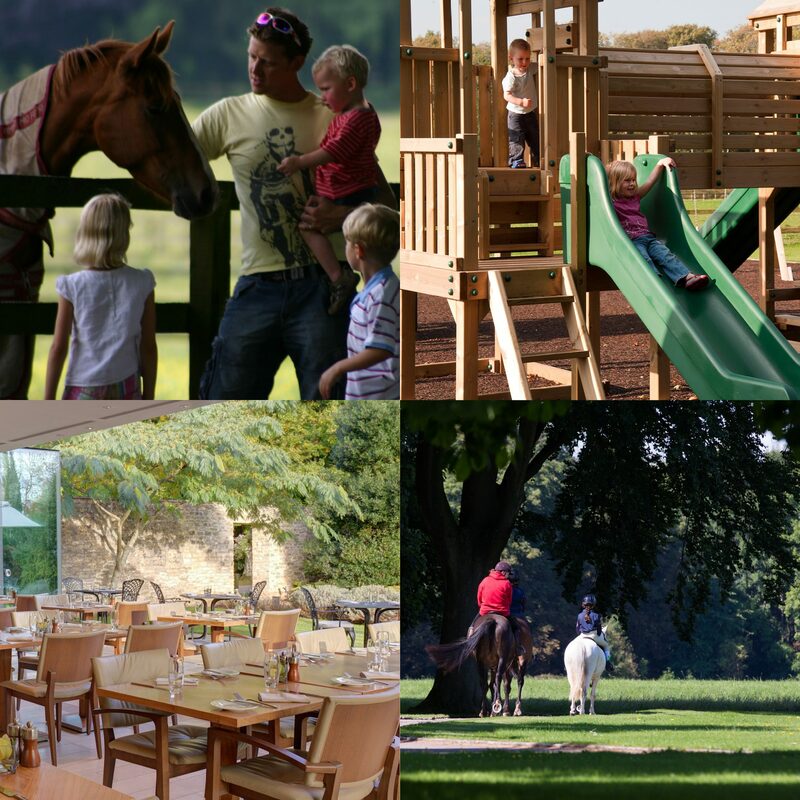 Fun, friendly and full of entertainment, experience new activities in The Hideaway, master the art of cookery or ride into the Cotswolds countryside on wheels or horseback. Book a UK family holiday at our friendly hotel in Wiltshire. Enjoy new experiences, spend quality time together and make memories along the way. Located just 6 miles from Bath and within easy reach of popular family destinations such as Longleat, Bowood, Cotswolds Water Park and Bristol Zoo, Lucknam Park is an ideal choice for a UK short break. Explore the woodlands on horseback, bike ride around the estate or simply relax on the lawns. During the school holidays, chef invites our little guests to the cookery school to don an apron and create some delicious treats. Our family rooms are spacious and some of them interconnect – safely next to your second bedroom. The opening hours are 9:30am to 12:30pm and 1:30pm to 5pm. The Hideaway is free of charge to our hotel residents and is open all year round. Watch The Hideaway video here. 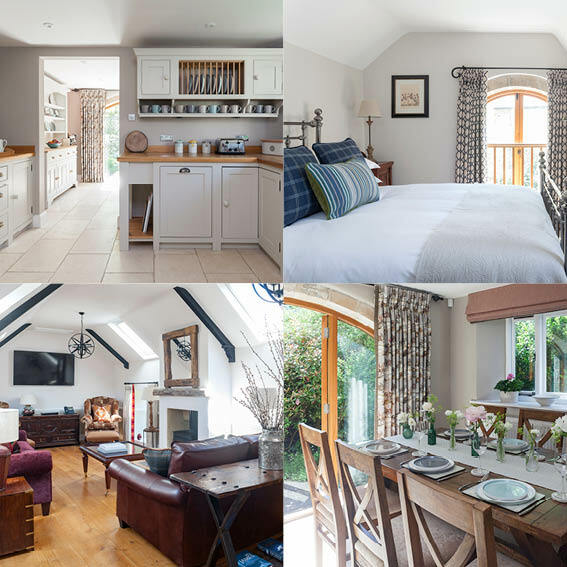 Nestled amongst the 500 acre estate, our charming three bedroom country cottage is perfect for families seeking an indulgent retreat. With all the hotel facilities at your fingertips, you can enjoy complete privacy whilst making use of our luxurious spa, equestrian centre, cookery school, restaurants and The Hideaway. 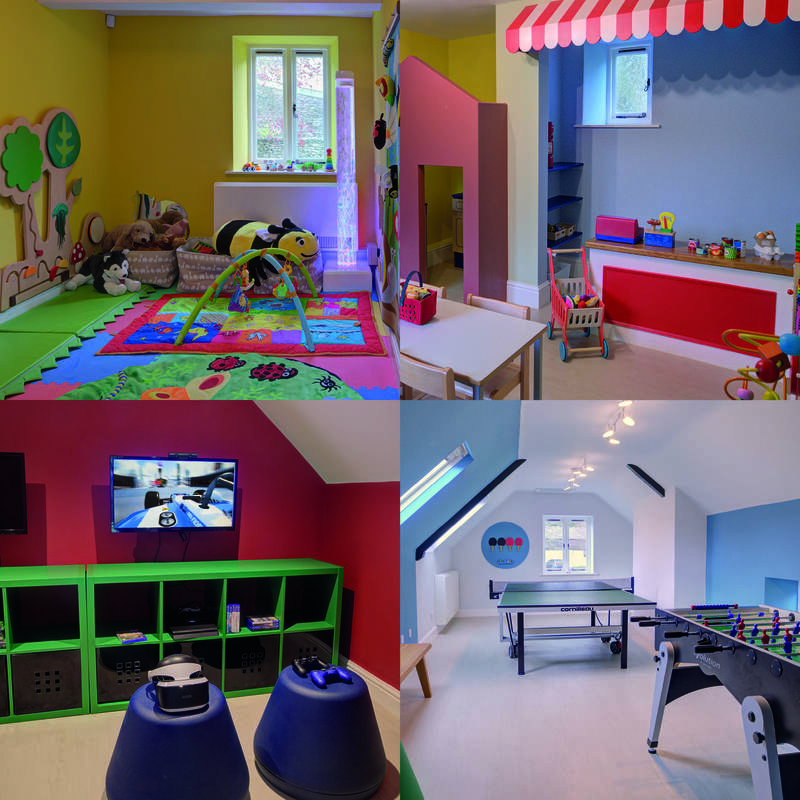 We have a number of family rooms that are interconnecting and adjoining, ideal for families with young children. For children under 12 we can provide an extra bed and cots in some of our rooms, a small supplement will apply. As a child friendly hotel, we know children have hearty appetites and The Brasserie, our contemporary all day dining restaurant, has great kiddie’s menus or they can select from the wide choice available on The Brasserie menu. Our fine dining Restaurant Hywel Jones welcomes children over the age of 5. We offer a reduced menu and welcome little diners until 8pm per night.